When Can A Win be a Losing Proposition? 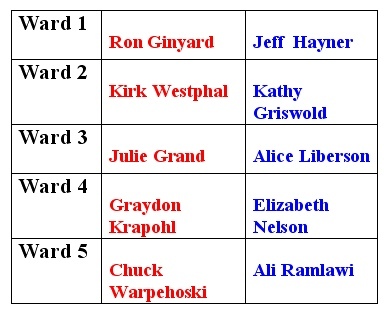 The Washtenaw County Board of Commissioners had a big win on November 7. 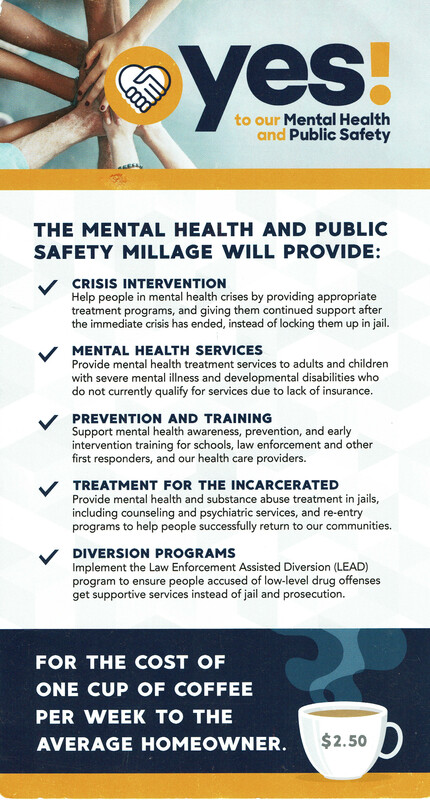 The somewhat controversial ballot issue for a combined mental health and public safety millage passed rather spectacularly. As related by the Ann Arbor News, it won by nearly a 2-1 margin. We had complained a great deal about this ballot measure. As explained at length in Hair on Fire in Ann Arbor, the inclusion of a “rebate” to certain county communities seemed questionable, made the measure unnecessarily complicated, and added a layer of strangeness in that the Ann Arbor City Council promptly passed a measure announcing how they would spend the windfall. 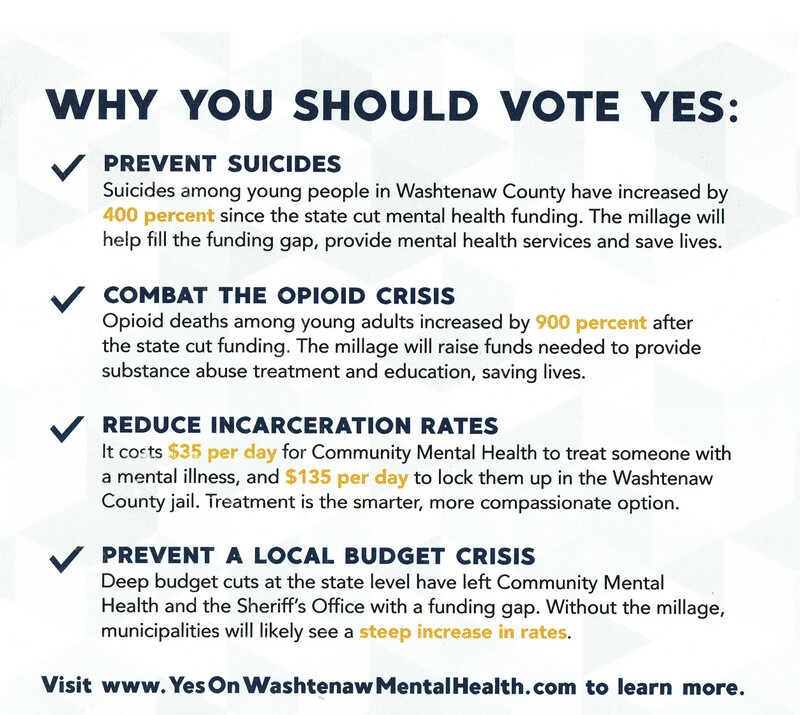 “Tonight, the people of Washtenaw County recognized the need to adequately fund mental health and public safety,” County Board Chairman Andy LaBarre, D-Ann Arbor, said in a statement after the results were reported. Distribution of votes for and against the millage proposal, as shown by Washtenaw County. Note that most townships in the western part of the County voted No. But there are some regional implications in any County-wide vote. With their heavy voter numbers, the cities of Ann Arbor and Ypsilanti, and Ypsilanti Township, can often carry a measure. This can create a classic urban-rural split, where the townships that don’t use services intensively may resist being taxed to provide them to others. As we noted earlier, many of these rural townships keep their own operating millages to a bare minimum. The fact that much of the land being taxed is agricultural probably adds an edge to this. If you are operating a business that requires tens or hundreds of acres, each tax increment is a direct hit on your livelihood. There was another indication at the BOC meeting that there might be some regional strains. According to the Ann Arbor News, the vote was only 5-4 in favor to put this on the ballot. 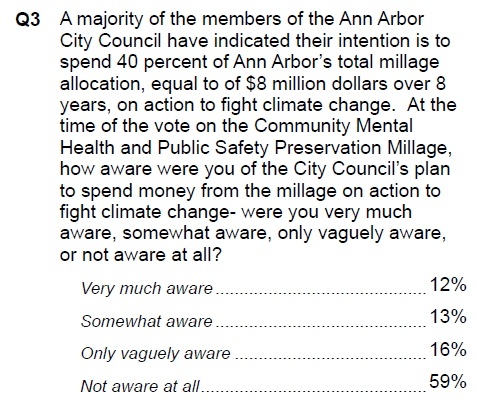 Evidently only the Ann Arbor commissioners, together with the representatives from Northfield and Pittsfield Townships (both are relatively urban and will receive a rebate), voted for it. Even the Ypsilanti commissioners did not support it, nor did the commissioners from the western townships. This raises a common question in governance: is winning the question by majority rule the only consideration? When is it more important to accomplish a goal regardless of opposition by a substantial minority and when is it instead important to reach a consensus? Should we be concerned when such a geographical divide exists on a particular issue? Is it worthwhile to try to find an approach which will at least not lead to a revolt as this one has? These questions are at the heart of the question of what regional governance should mean. In my opinion, it is better to avoid cultivating a deep well of resentment between localities. It should never be a “I win, you lose”. From the beginning, there have been those who questioned the legality of this ballot measure. Former County Commissioner Dan Smith circulated a message prior to the election with a number of reasons that the measure could fail a legal test (Smith is not an attorney). These are his points, verbatim. Local government can only spend taxpayer funds on things which are authorized (or fairly implied) by state law. There is no provision for the county to simply give money to another municipality (or anyone else, for that matter). The “refund provision” results in non-uniform taxation as those municipalities w/o a police department are paying a higher tax rate than those which get the refund; this also violates current interpretations of “equal protection” in both the U.S. and Michigan constitutions. The refund provision also violates Article IX Section 6 of the Michigan constitution as those municipalities WITH a police department are experiencing a tax increase (the amount of the refund) without the qualified voters of JUST that municipality voting on it. 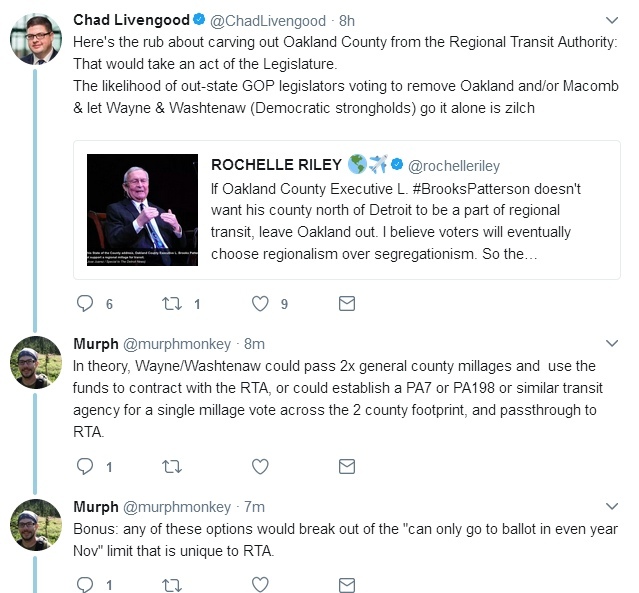 Similarly, this could be an end-run around Charter tax limits, Ypsilanti (and maybe others) is already levying the maximum under its charter. The champagne bottles had barely made it to the recycling bin before the next step was announced. The news report from the WEMU radio station revealed that the question of legality has not been dropped. WEMU interviewed Harley Rider, the Supervisor of Dexter Township, who announced that he would be part of a coalition who will challenge the ballot measure in court. When we reached Rider today, he stressed that he is joining what he expects to be a “bi-partisan” coalition as a private individual, not in his role as a township official. He says that there is not yet a formal, named group but it is obvious that the process is full of energy. This is not the first time the County has been sued over a tax issue. While the matter was never completely resolved, a previous suit did not prevail. The County had levied a tax without a vote of the people in 2015 and 2016. As the Washtenaw County Road Commission notes, that tax made it possible to improve many county roads, but its legality was questionable. The BOC dropped that idea after they were sued and put an issue on the ballot in November 2016, when it passed handily. They were also moved to drop the “Act 88 millage” which was similarly imposed using a somewhat novel theory. (Ann Arbor News report) It seems that some commissioners just can’t quite leave alone venturing into deep waters as far as taxation is concerned. NOTE: Of course, we do not know how any court case will be resolved, nor has an argument been set forth by the parties. This account is not intended to prejudge the result and it will likely be months before we know more. But it would have been desirable to avoid this conflict. The County needed a “win-win”. SECOND UPDATE: (March 14, 2018): Some people are beginning to realize that Ann Arbor is not using the millage for mental health, as was supposed by many voters. As was reported by the Ann Arbor News, City Council got an earful from several commenters. The intention to bring a lawsuit by Harley Rider is also referenced. The Fuller Road Station has been one of the dominant stories in Ann Arbor politics for most of the last decade. It blends two major influences: former Mayor John Hieftje’s preoccupation with rail travel, and the University of Michigan’s growth plans and need for parking. And, as a theme not invited by the powerful, Ann Arbor’s love of its parks. A deadline is approaching. The City of Ann Arbor requests public comments by November 2, 2017 about the Environmental Assessment for the Ann Arbor Station. This is a tough homework assignment for the general public. The EA itself is 221 pages and then the Appendices are 735. But these pages represent over 10 years of wishes, plans, politics, and especially money (from Ann Arbor’s civic pockets, and others). Many studies, much data, probably hundreds of consultant hours, all to solidify the conclusion we knew all along: the City of Ann Arbor wants to build a new Amtrak station on Fuller Park, next to the University of Michigan health sciences campus and hospital. 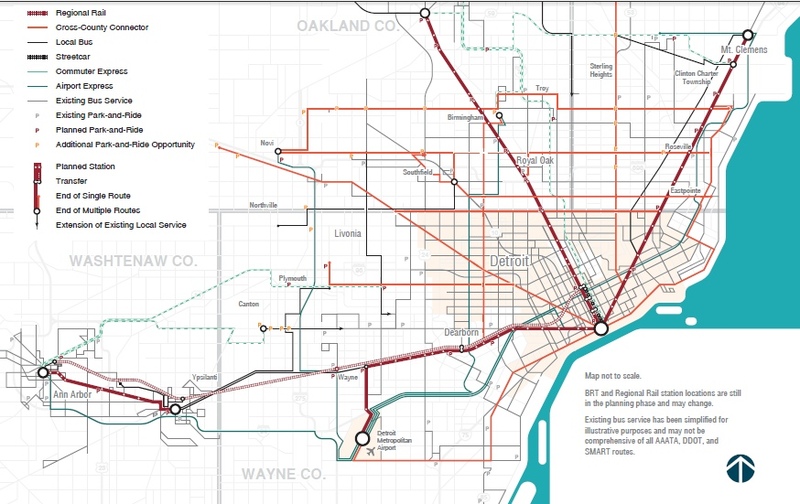 As we recounted in our post Ann Arbor’s Fading Dream of Trains and Rail Systems, it all began with John Hieftje’s Mayor’s Model for Mobility (2006). Most elements of that model were included in the expansive transportation plan (the AATPU) passed by Council on May 4, 2009. 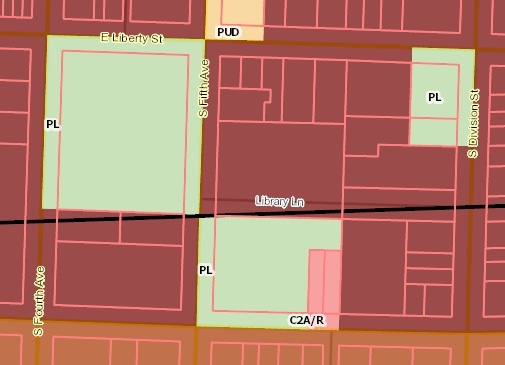 The plan (which still informs Ann Arbor transportation decisions) calls for signature routes, now the location of a proposed light rail line (the Connector). They run through a nexus at Fuller Road. Note the little blue train station icon. 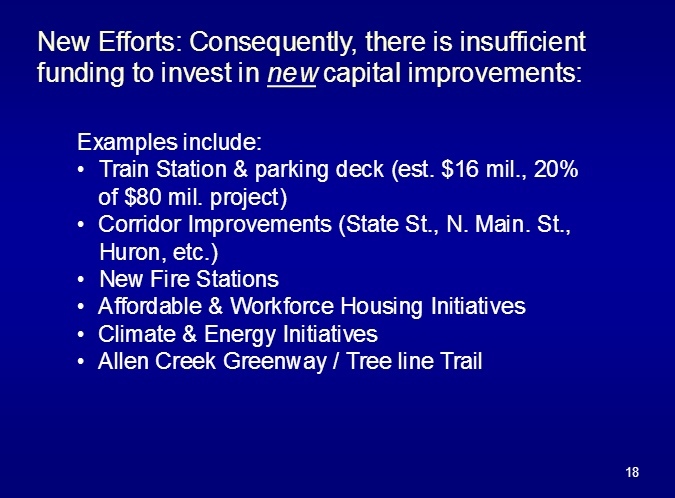 Under “mid-term recommendations” (5-10 years) it lists Construct permanent station at Fuller/Maiden intersection for Ann Arbor to Detroit Commuter Rail/AMTRAK service ($10,000,000) as one of its objectives. 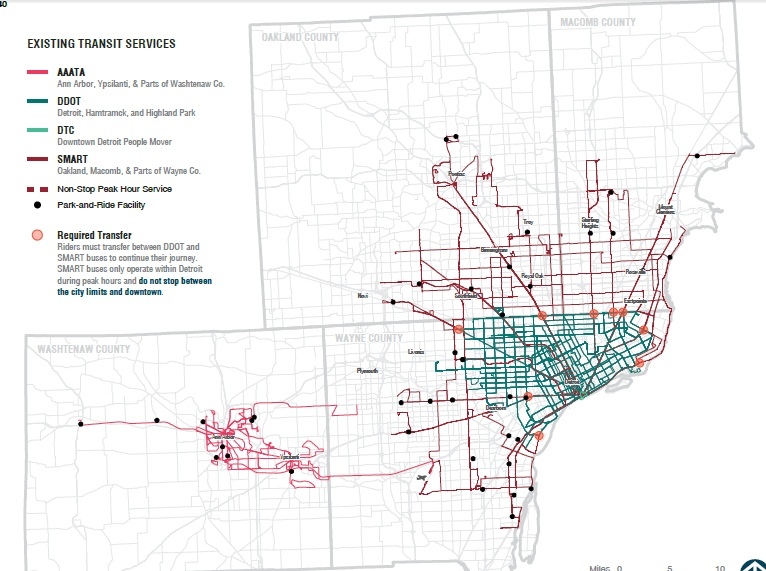 From the beginning, the UM has been engaged with the City of Ann Arbor over the University’s growing population and its need both for increased transit and for parking. As noted in this useful timeline from the Ann Arbor Chronicle, the UM first proposed to build a parking structure on Wall Street. At a meeting held in January 2009, the idea of a multimodal transit center combined with parking for the UM (initially called FIT, or Fuller Intermodal Transit) was first floated by Eli Cooper, the City’s transportation specialist. The Chronicle’s account of this meeting is worth reading for insights on how the City and UM interact. The UM was persuaded to abandon the parking structure on Wall Street and invest its planning and its cash in the Fuller Road location instead. Work began on developing the plan update in April 2007. The planning effort was guided by a technical steering committee comprised of city and stakeholder agency transportation and planning staff. 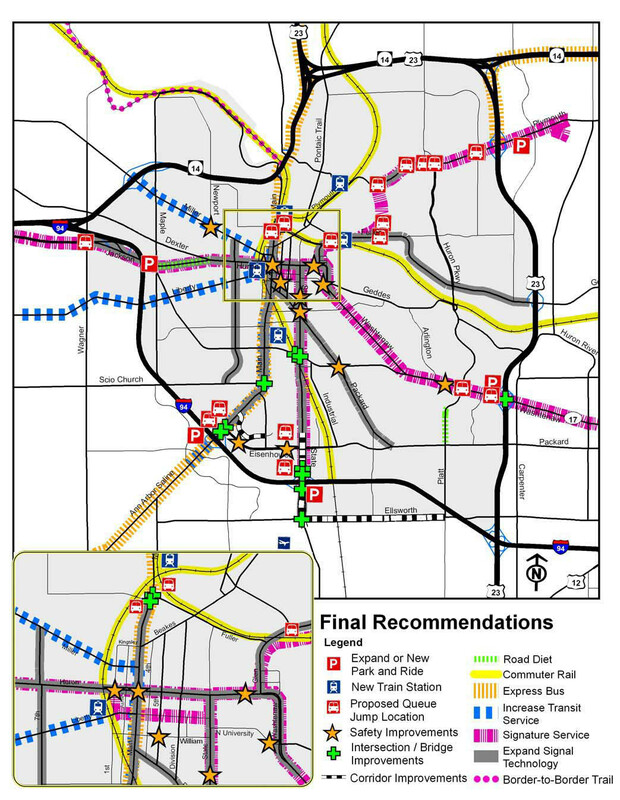 The University of Michigan contributed $20,000 to the planning effort and also contributed information about current and future travel patterns related to University growth plans. To finalize the concept, on November 5, 2009, Council adopted the Memorandum of Understanding with the UM to construct the Fuller Road Station. It also increases the project budget to $111,228. The MOU states that UM will pay 78% of the cost. Phase I will consist in part of a structure with 900 parking spots. So, in a deft slight of hand, the City has put the Mayor’s vision close to a first realization, while reaching an agreement which will obligate the UM to pay for most of the first phase. But there was a weak spot. The City may have “owned the land”, but that land was a park. With the accession of Roger Fraser as City Administrator, the City was casting its eyes on Ann Arbor’s extensive parks system as a possible source of needed funds. There were actually lists of parks that might be sold. But the parks loyalty of the Ann Arbor public should not be dismissed lightly. In November 2008 the voters had approved (by 81.21%) a ballot issue that requires the City to ask for voter approval prior to selling any park land. Shall Section 14.3(b) of the Ann Arbor City Charter be amended to require voter approval for the sale of any land within the City purchased, acquired or used for park land, while retaining the Sections current requirement for voter approval of the sale of any park land that is designated as park land in the City of Ann Arbor Master Plan at the time of the proposed sale? Early signs of trouble for the Fuller Road Station (FRS) included a push-back at the Park Advisory Commission (PAC). After a subsequent visit to PAC by Mayor Hieftje and several efforts at revision of a resolution, a resolution merely calling for “transparency” (to quote the Ann Arbor Chronicle) was passed, but not until hearing a great deal of intense public comment. 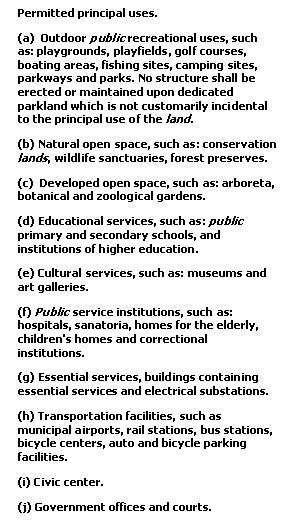 All this discussion was in consideration of the allowable uses for park land, which is where PAC had some voice. This was addressed by Council simply by changing the rules: on July 6, 2010, City Council changed the zoning codes so that PL (public land) may be used for “transportation uses”; but again, as reported by the Chronicle, not without a great deal of passionate public comment. Note that at the time the Fuller Road Station was first proposed, no Federal funding was in hand. 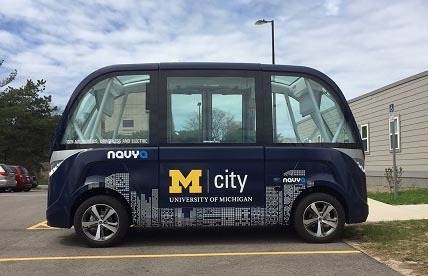 It was simply a joint project between the City of Ann Arbor and the University of Michigan, and the UM promised to pay the bulk of the initial cost. (Which basically would have been the parking structure.) But things were looking up. President Obama, as part of his stimulus package (American Recovery and Reinvestment Act), proposed the High Speed Intercity Passenger Rail program (HSIPR). The Michigan Department of Transportation (MDOT) assisted communities, including Ann Arbor, in making application (due date was April 4, 2011). Ann Arbor applied for a grant to design a rail station at Fuller. In May 2011, Eli Cooper was rather giddily announcing that the City had a $2.8 million grant for that purpose. It would be through the auspices of the Federal Railroad Administration (FRA). An unexpected obstacle materialized just as the cheers rose. The Huron Valley Chapter of the Sierra Club had been following the development of a parking structure and train station in Fuller Park with dismay. They had a tool. Because of the National Environmental Policy Act (NEPA), an Environmental Assessment (EA) is required. And the result has to be a Finding of No Significant Impact (FONSI) (to the environment). But wait – remember, this site is in a PARK. That means that Section 4(f) comes into play. Here it is, straight from the Federal Register. (Emphasis added.) It unequivocally states that park land has certain protections. (f) ‘‘4(f)-Protected Properties’’ are any publicly-owned land of a public park, recreation area, or wildlife and waterfowl refuge of national, State or local significance or any land of an historic site of national, State, or local significance (as determined by the Federal, State, or local officials having jurisdiction over the park, area, refuge, or site) within the meaning of section 4(f) of the DOT Act (49 U.S.C. 303(c)). In less than a month after MDOT submitted the City of Ann Arbor’s grant request, the Chair of the HVC-Sierra Club, Nancy Shiffler, sent a letter to the director of the HSPIR project. The letter points out, with some asperity, that the property is a park. Still, there were no more announcements. In January 2012, the HVC-Sierra Club issued a press release. What’s Ahead for Fuller Road Station? It’s Time for the City to Let the Rest of Us in on the Plans. property acquired for parkland uses, regardless of what any temporary current parkland use may be. 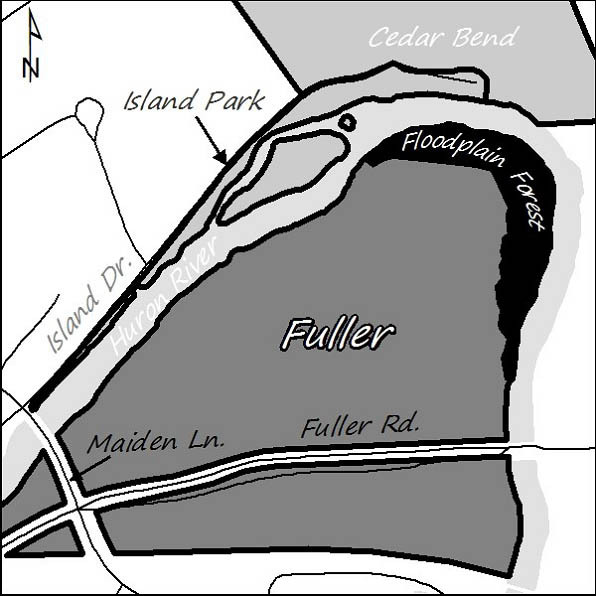 The Sierra Club and a newly formed group, People for Ann Arbor Parks (now Protect A2 Parks) reported the results of a FOIA in which they discovered speculation about also developing the Fuller Road area for commercial purposes. For all those months, we didn’t know how the different sites proposed fared. Under the FRA’s guidance, the City was obliged to examine all possible site. The reason? Because this site was in a park. That is where the “prudent and feasible alternative” comes in. They were obligated to show that this was the best, or perhaps the only, choice. So months were spent in analyzing several different possibilities. One of the more intriguing notes was that the FRA required the consultants to consider the possibility of using the old Michigan Central Railroad Depot building (now in use by the Gandy Dancer restaurant). How did that come up? Notice the reference to a historic site in Section 4(f)? Comments are due by November 2. Send them to ecooper@a2gov.org. Does the plan cause damage to the park asset? 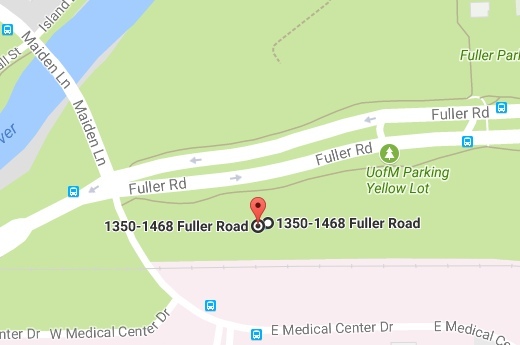 Not just to the current temporary parking lot but to the entirety of Fuller Park? How well will a major Ann Arbor park co-exist with a busy parking garage and train station? In other words, do we agree with a Finding of No Significant Impact? Even if we agree that some damage will occur, is Fuller still the only choice? In other words, is there really No Prudent and Feasible Alternative? Note: Ryan Stanton of MLive has done considerable valuable reporting on this subject. His work has contributed to our community’s understanding of this complex and important topic. Note: Much information is to be found at the website of Protect A2 Parks, All Aboard on Depot Street. Disclosure: I am a member of this group. ADDENDUM: Comments are due on November 2, 2017. They should be sent to Eli Cooper, ecooper@a2gov.org. Here is the official comment from the Sierra Club. UPDATE: Yes, I finally got my letter in. Here it is: EA comments. Got vision? Our City Councilmembers do. But that takes money. Can we talk taxes? Why do people run for office in local government? Various reasons, including personal (political) ambition, an enjoyment of politics as a practice (it has its obsessive qualities and you meet people), sometimes useful connections that might help you in your day job. But I believe that a common characteristic in budding politicians is that they want to DO SOMETHING. The aspirational impulse may go many directions. With me it was land use. (So, immediately, all the BOC of my day was able to deal with was homelessness.) We have local politicians who have emphasized economic development, transit, and development for population density. Lately, the attention has turned to economic equity and affordable (i.e., subsidized) housing, and now there is a strong interest rising in solar power as a method of attacking climate change. It is frustrating, from the viewpoint of a Michigan municipal official, to read about advances in other states. Here a transit program, there a measure to provide affordable housing, often paid for by a special sales tax, hotel tax, or even ticket surcharge (think UM football games) levied by a city or a county. Not here. There are only two ways a local government in Michigan can tax its residents and businesses. One is a tax on real property (real estate) and “personal property” which despite the confusing name is really business property. However, that tax is slowly being eliminated. The other option (available only to cities) is a city income tax. According to the Ann Arbor News, the City Council is considering that again. If the Council decides to go ahead with this oft-considered option, they will have to put a charter amendment on the ballot. If the tax is enacted, it will mean that City residents will pay a 1% tax on income (this is rents and retail proceeds as well as wages) and non-residents will pay 0.5%. In return, property owners will not be obliged to pay the general operating millage (for FY2018, that is 6.0343 mills). Whether one comes off ahead on this personally depends on personal circumstances. (My best understanding is that retirement income is now taxable, so seniors are not as advantaged as in the past.) The advantage to the City, and perhaps to many taxpayers, is that we are able to tap the incomes of UM employees and others who live elsewhere and work or do business in Ann Arbor. Because of limitations in the Michigan constitution, it is very difficult for local government to raise property taxes. We reviewed that in this post from 2011, which also walks you through details of when and how assessments for property tax are done. Because of the Headlee Amendment and some other constitutional restrictions, governments are limited as to the total millage they can impose and must go to a vote of the people (a ballot question) to raise a new millage. Tax expenditures become (by design) a zero-sum game. So local governments are always starved for revenue, especially if they are ambitious. In the face of this frustration, some of our County Commissioners and City Councilmembers have gotten creative. As we described in Hair on Fire in Ann Arbor, the BOC has established a millage ballot proposal that offers to give certain local governments a “rebate”, to be spent as wished. 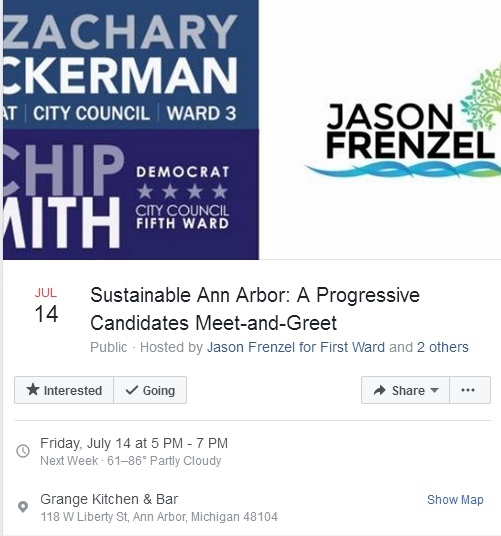 This has entered into Ann Arbor City Council politics, with the incumbents who sponsored the resolution that assigned these tax goodies to favored uses (pedestrian safety, affordable housing, and climate change) running for office as the “Sustainable Ann Arbor”, “Progressive” slate on the strength of that resolution. This device is obviously a response to frustration over the inability to use local tax dollars as they would like. But in my opinion, both the BOC and these Councilmembers are not just misusing the ballot initiative system, but are being insensitive to the way ordinary taxpayers view local taxes and how they are used. To be successful, they will have to persuade a majority of Washtenaw County voters that paying an additional 1.0 mill tax is to their benefit. Ann Arbor homeowners are very conscious of our local tax system in July. This is the month the big property tax bill is due. To many of us, this is the make-or-break moment. Writing that check by the end of the month (and Ann Arbor has a very big stick to make sure that you do) is a big stress point. Of course, no one loves taxes, but this is your HOUSE. And every year, the total goes up. Most of the property taxes we pay are for local government. Across the County, the actual rate and amount paid varies widely, especially because of overlapping school districts, library districts, transit authority district, and other authorities. The greatest difference is in the millage that each municipality imposes on its own behalf. That is the operating millage together with any special millages that voters have approved. These can be seen by referring to the Apportionment Report from the County Equalization Department. (All figures cited in this post are from County Equalization.) Washtenaw County is really the essential level of government in Michigan, because many programs based on Michigan and even Federal law are delegated to the County to enact (these are called mandated services). Taxpayers in all of our local units pay the same County millage (currently 6.2432). Property taxes collected in Washtenaw County as shown in the Apportionment Report (2016). The smaller pie chart is County taxes and is detail of the pink wedge. Note that schools are the largest tax target. 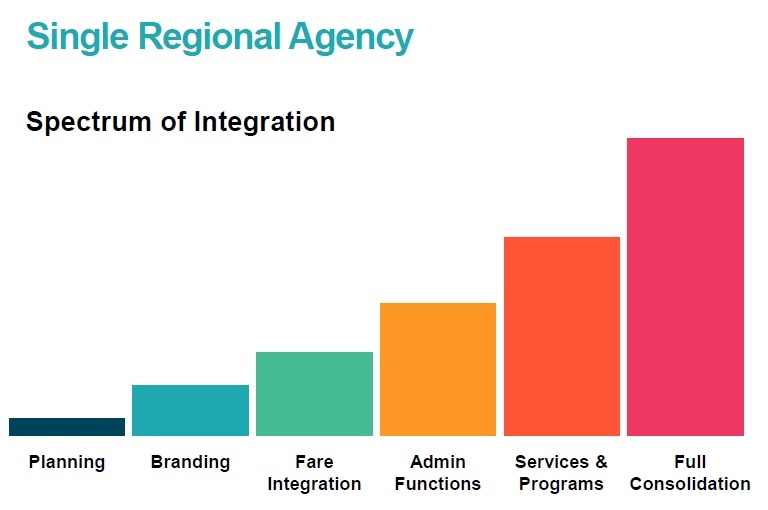 AAATA and DDAs are in the “local government” wedge. There are several questions that occur to the taxpayer. One is, “what am I getting for this tax payment“? That depends. The general expectation for local taxes is that the tax is collected by government so that it can carry out the services we need. Washtenaw County has 27 cities, villages, and townships. Taxpayers in each of these may live in different school districts, library districts, etc. In some, voters have chosen a high-service, high-tax government. Many townships are run on a bare-bones model. So service levels differ, and so do local tax rates. City residents usually go with the high-cost option. When we want special services (parks, local buses, better roads, etc.) we vote in special millages. In some townships, it is very difficult to pass a library millage or an increase in the township general operating millage. Cities have a solid waste millage and provide trash pickup; most townships leave it up to the occupant to contract for trash removal. Cities typically have water utilities (sewer, drinking water). Townships mostly leave it up to occupants to have a well and a septic tank. There are exceptions; the more urban townships like Ypsilanti and Pittsfield contract with the Detroit water authority, and portions of Scio Township and Ann Arbor Township have contracts with the City of Ann Arbor. In general “you get what you pay for” is the rule. But to feel that you are taxed fairly, you want to see that you get the services you have opted for. The wish to be treated fairly is baked into our bones. (Experiments with monkeys show they resent being treated less well than the next monkey; they’ll refuse to do the trick if the other monkey gets a grape and they only get a cucumber.) But part of that is your expectation of the “service” that you are buying. I want my trash picked up and my drinking water to be clean and readily available. I’m not fond of potholes either. But I also want to know that my community is being administered rationally and compassionately by officials who have the correct expertise. In the example of the County, I want to know that public health, environmental health, and mental health are all being tended to by people who know what they are doing, and public safety (policing and judicial system) is important to me even if I never get robbed or a ticket. So those are “services” I will happily purchase. I’ll vote for school taxes even though I never had children. But what really irritates me is if I do my part and others don’t. That is where we come down to the question of an even treatment of taxation. 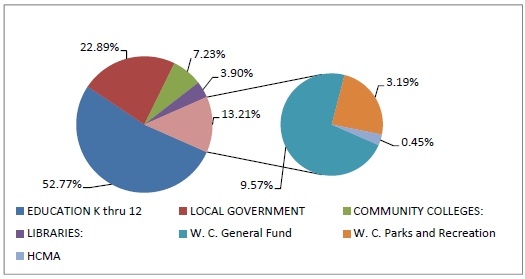 Because voters in local municipalities (that includes cities, villages, and townships) all choose different “packages” and also because the economic picture in each locality differs, there are major differences across the county in how much tax revenue is collected and what individual taxpayers have to pay. The fortunes of each government (and the burden on taxpayers) are determined by two different factors: the millage rate and the taxable value (properly called the ad-valorem) available. In order to keep local assessors from under-assessing the value of property, the County Equalization Department conducts a detailed study each year and publishes a complete snapshot of local government assessment and taxation. (All figures we cite here are from the Equalization Report or the Apportionment Report.) The fortunes of each government depend heavily on the ad-valorem (hence the constant attention to “tax base”). Some localities have such high-value property that they can afford to keep millage rates relatively low and still provide quality services. Others, with low real estate values, strain to cover all the bases with high millage rates. This creates a good deal of inequity on a social level across the county. Tax profiles for three different municipalities. Local millages (including operating and special millages) are shown. Tax calculated on total homestead millage is for house of market value $200,000, assuming TV is exactly half that. In this example, the owner of a new house of $200,000 market value (TV of $100,000) would pay a drastically different tax bill. Because it has such a low tax base, the City of Ypsilanti is taxing its residents at the very maximum that its charter allows. Because most real estate in Ypsilanti is often at a lower valuation, many may not pay that. However, this tax rate will obviously depress real estate value. Back to the fairness question: presumably since each of us has chosen to live in a particular community (a free will theory of taxation), the tax assessed there is “fair”. But what about when the tax is being collected for services used by a different locality? As we explained in our post Regionalism Reconsidered, Michigan has a strong home-rule tradition and culture. When we pay County taxes, we are paying for a regional benefit. We must accept that services delivered to our entire region (county) are on our own behalf. But what few of us expect is that the County will collect taxes specifically to donate to a different municipality. In the case of the proposed “mental health and public safety” millage, that was a decision made on the floor during debate on the ballot language. In the final language, a change was made so that the “rebate” to municipalities with their own police forces would be made proportionately on the basis of population, not on taxable value. shall the limitations on the total amount of taxes which may be levied against taxable property within Washtenaw County, Michigan, as provided for by Section 6 of Article IX of the Michigan Constitution of 1963, be increased up to the amount of $1.00 per thousand dollars of taxable valuation (1.0 mills) for a period of eight years, beginning with the December 1, 2018 levy and extending through the 2025 levy, which shall raise in the first year an estimated $15,433,608.00 to be used as follows: 38% shall be allocated to Washtenaw County’s Community Mental Health Department for mental health crisis, stabilization and prevention, and to meet mental health needs in an appropriate setting, thus reducing the burden on the jail and improving care; 38% shall be allocated to the Washtenaw County Sheriff’s Office to ensure continued operations and increased collaboration with the mental health community; and 24% shall be allocated to jurisdictions in the County which maintain their own police force (currently Ann Arbor, Chelsea, Milan, Saline, Ypsilanti, Pittsfield Township and Northfield Township) in proportion to their respective 2016 population values? (The change was made in order to benefit the City of Ypsilanti.) This has the effect of redistributing County taxes from one municipality to another. As is seen in the table, most other cities and townships are essentially donating their own tax base (accepting the logic that this is a repayment for local taxes already collected) to others. For the complete calculations, refer to this spreadsheet. “Rebate” in first year based on taxable value vs. population. But the tax is also a redistribution from all the other municipalities in the County to these units receiving a rebate. Recall that the more rural townships have chosen to tax themselves at very low rates and then offer very minimal services. For example, Bridgewater Township has a local millage rate of 0.8233. Freedom Township is 0.9501. The proposed new County millage of 1.0 mills is higher than they choose to tax themselves for all services. And part of that tax is going to be redistributed to the urban communities. 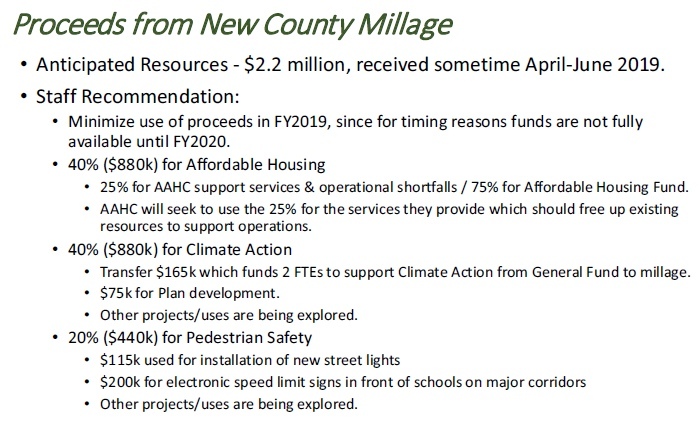 This may be why (as reported by the Ann Arbor News) the vote to approve the millage was 5-4, with the “out-county” commissioners voting against it. There was some discussion that this redistribution in favor of the City of Ypsilanti was for “equity” and that small city does indeed have its problems, as shown with the tax situation. Perhaps we need to consider what “equity” means in distributing taxes among County communities, especially if the purpose is not truly regional in nature. Should the farmers of Bridgewater Township be paying for pedestrian safety in Ann Arbor? Should Saline and Chelsea be donating tax receipts to Ypsilanti and Northfield Township? The rebates are not going to individual taxpayers in those different jurisdictions, but rather to their elected bodies, to spend on whatever priorities they determine. Is that fair? County voters have shown that they are willing to pay taxes for a truly regional service. For example, in November 2016, the County roads millage passed by 70.94% and the millage to support indigent veterans passed by 73.18%. But because of this muddle, it will be hard to make the case that this is truly a regional service for parts of the County. Perhaps the votes in the urbanized parts of the County will be enough to pull it off. But I wish that the BOC had offered us a clean choice with two pared-down millages, one for mental health services and one for the Sheriff. It should have been possible to make a good regional case for each of those. This was a bad time to introduce political aims into the process. Just to confuse things further, should the Ann Arbor City Council decide to place a ballot issue for a city income tax on the November ballot, Ann Arbor voters will be making two different decisions about their tax futures at the same time. Wonder how that will work out? ADDENDUM: The City Administrator has prepared a memo recommending use of the county millage rebate as to how that extra tax revenue from the County millage might be used. Here is the report by the Ann Arbor News. UPDATE: The Ann Arbor News has an article about the city income tax that compares the UM position (not our business) with that of MSU re an East Lansing income tax (oppose it, offering a buyout). According to the article, there will be a special work session of the City Council on September 11 to discuss the tax. General note: I believe that it is probably too late to place a ballot item onto the November ballot. (I am having difficulty in finding the due dates for a charter amendment to be placed on the ballot by the Council.) That would indicate that the next opportunity for an election would be May 2018. After that, August or November 2018. There are potential political consequences for all these choices.